My friend was trying to describe this film to his girlfriend over the phone just after we’d left the cinema. I think he did a good job of summing it up: “A guy get’s captured. Then he escapes. Uh…. It’s just mindless destruction really!” It’s safe to say that Mad Max is a bit more intense than the last movie that revolved around Tom Hardy driving a long way. Mad Max: Fury Road is the fourth installment in the series, with Tom Hardy replacing Mel Gibson as the lead. It’s a high-octane, intense ride the entire way. This is not to say that the movie only comprises of explosions. There is more to it than that. But not a great deal more. According to some, Mad Max a feminist triumph. It’s a post-apocalyptic depiction of the frailty of humanity. A story of struggle and of survival. And did I mention that there’s plenty of action and explosions? And though the plot isn’t a masterpiece, it is well paced(from throttling, to break-neck, to overdrive). The acting is great. The characters are tough and gritty, all with a differing degree of madness. The corrupt warlords are hellbent on retaining their power, no matter the cost. Their minions, the brainwashed War Boys, help the kings with their atrocities, believing that dying in the line of duty will earn them glory in the afterlife of Valhalla. The War Boys outlandishly twisted and cartoonish nature, along with their love for ultra-violence, reminds me of the droogs from Clockwork Orange. Our two protagonists, Max (Hardy) and Furiosa (Charlize Threron), are both hardened anti-heroes, trying to seek redemption from past sins in their own way. The viewer gets fully immersed in this new hellish world. The details are stunning, from the vast deserts that the action takes place in, to the almost steampunk vehicles of war. This is a world where you need to be mobile and violent in order to survive. I’m surprised that the rock band Kiss didn’t make a cameo appearance, with all the pyrotechnics and heavy music. This is what a blockbuster should be. When I pay good money to see a movie such as this, it’s fair to want to leave afterwards feeling blown away. And I was. 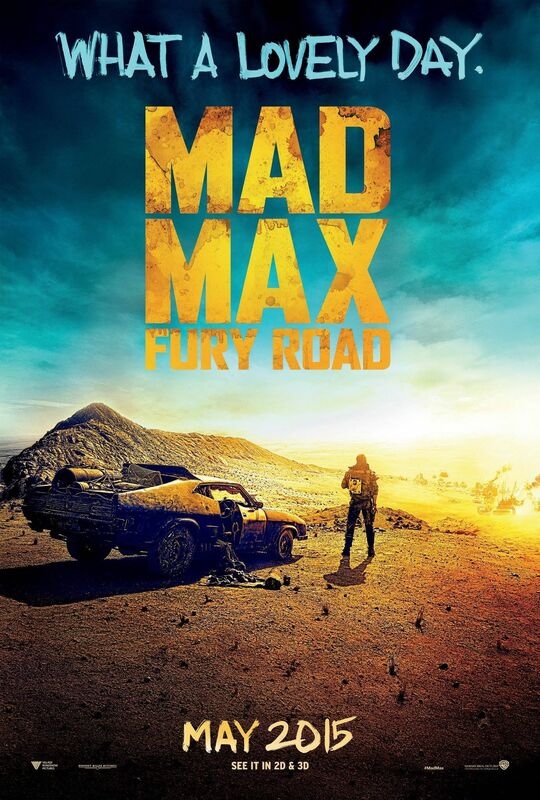 If you like your movies action-packed and filled with adrenaline, then do yourself a favour and go watch Mad Max.